Full-range adjustment provides ultimate comfort. 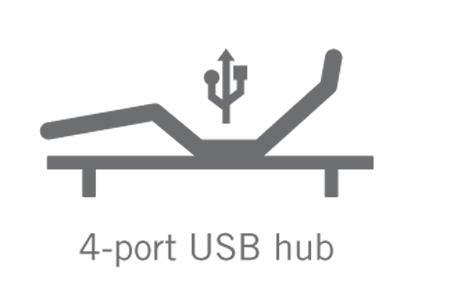 Easily recharge devices with ports conveniently located on each side of the base. 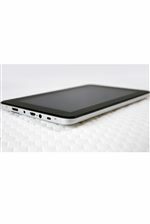 Advanced features stand alone or can be integrated with other bedroom devices. This supplemental safety system protects humans and pets from potential pinch points. Store 2 of your favorite positions on the remote and 4 through the app for immediate personalized comfort. 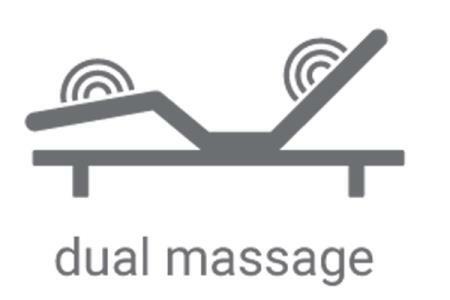 Advanced integrated technology connects your bed to you and your bedroom. Download the free app and control room lighting, airflow, sound, and more for the ultimate bedroom experience. 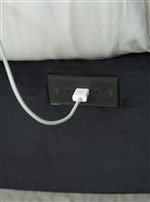 Keeps your nightstand within easy reach. We watch TV, read, and work from the comfort of our beds. It’s the oasis at the end of a long workday where we seek a tranquil environment that inspires relaxation and rejuvenation. The P-132 adjustable base has just about everything you need to personalize your perfect bedroom environment with comfort. 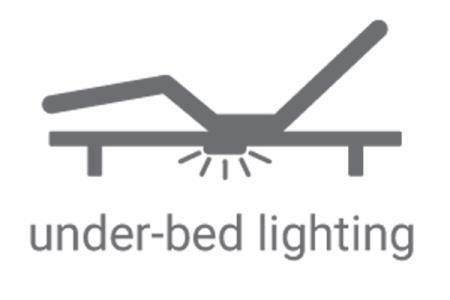 The proprietary LPConnect® system allows you to integrate your bed with lights, fans, music and more to create your own custom bedroom scenes. This base includes wave and pulse body massage settings, (4) high power USB ports per bed side (8 USB ports total), under-bed lighting, pillow tilt adjustment, and full-body, head and feet articulation that will raise the feet to the same level as the heart in a zero gravity position. These body angle adjustments can potentially help ease stress, reduce soreness in the body, and moderate or eliminate snoring, allowing you to receive the highest level of personal comfort and the sleep you need. Did you also know most brands of innerspring, foam, or air mattresses are adjustable-friendly? You may already have a mattress that’s compatible with an adjustable base. The black furniture grade upholstery provides a great neutral fit to any room, and 2.5” diameter, 6” legs are adjustable by 1” increments for an additional 4” of height (10” total). The programmable back-lit remote allows you to control base positions (including pillow-tilt articulation) and bedroom scene settings. Apple and Android Bluetooth devices can also be used so (2) people can control the functions through the FREE downloadable app. Convenient Wallhugger® engineering, child lock-out safety feature, and integrated clock-based alarm system for advanced programming are also included. 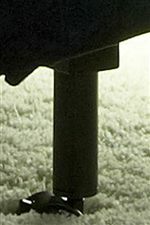 This base has a max weight limit of 700 total pounds and measures 14-inches (H) by 38-inches (W) by 80-inches (L). The P-132 Adjustable Base comes with a 1-year full product, 3-year parts and labor, and 25-year parts only warranty. The Premier Series Twin Extra Long Adjustable Base by Fashion Bed Group at Jordan's Home Furnishings in the New Minas, Halifax, and Canning, Nova Scotia area. Product availability may vary. Contact us for the most current availability on this product. Drift off to sleep atop amazing technology created specifically to make sure you enjoy a luscious nights sleep every night of the week with the addition of this adjustable base to your home. Leggett & Platt have out done themselves with this collection of adjustable bases. Position the bed flat, with the head up, feet up, or both up till you discover which is best for you for that ideal night of sleep you have been dreaming of. The Premier Series collection is a great option if you are looking for Mattresses in the New Minas, Halifax, and Canning, Nova Scotia area. Browse other items in the Premier Series collection from Jordan's Home Furnishings in the New Minas, Halifax, and Canning, Nova Scotia area.